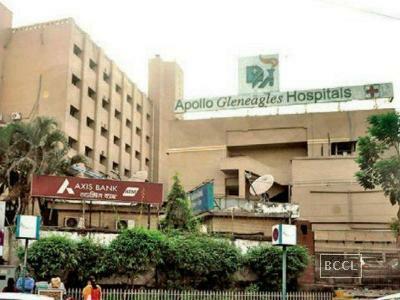 Kolkata : In the backdrop of over charging beneficiaries under the West Bengal Health Scheme, the state government has decided to discontinue empanellment of Apollo Gleneagles Hospital. As per a notification of the state finance department, the state government has decided to discontinue the empanellment of the hospital under the West Bengal Health for all employees and pensioners cashless medica treatment scheme 2014 following several complaints received by from different beneficiaries/ departments against it. It has been found on inquiry and on scrutiny of bills for medical reimbursement claims of beneficiaries who have been treated under West Bengal Health Scheme 2008 at the hospital that it has been charging extra amounts from the beneficiaries under the scheme and above the approved rates which is contrary to the provisions of the memorandum of association reached between the state government and the health care organisation. Inquiry also found that doctors of the OPD clinic of the hospital were reluctant to accept government approved rates and charge much higher rate and the difference amount between the approved rated for surgery and the surgeons claim is realised from the beneficiaries, the notification said. Apollo has been in the news for medical negligence and over charging patients. The state government had started a probe and set up an inquiry commission to investigate into the death of a person Sanjay Roy due to medical negligence and delay in his release. Apollo managing director Preetha Reddy had earlier this week met chief minister Mamata Banerjee and promised to look into the allegations and mend it keeping in mind the humanitarian grounds.